CraftyCarolineCreates: Scallop Tag Topper is in the Weekly Deals! 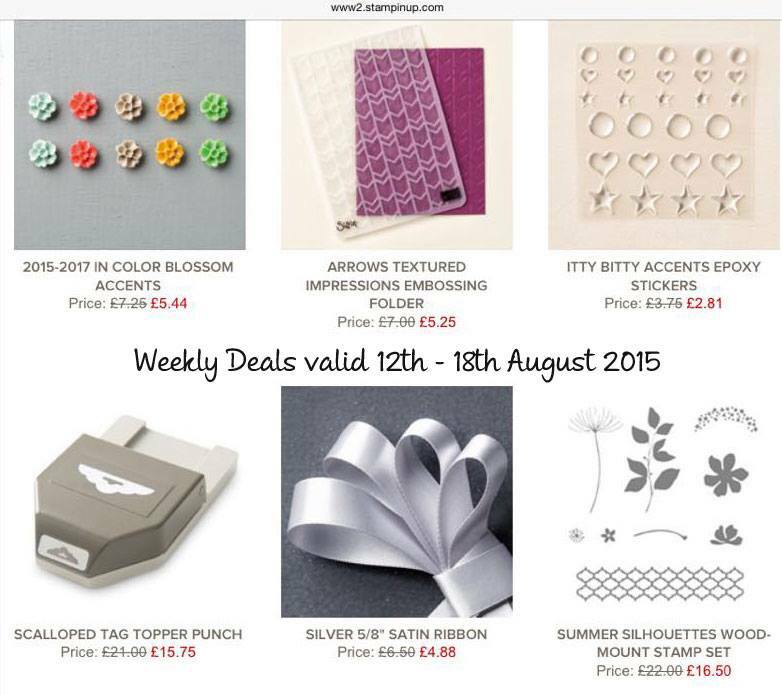 As you may know, each week, starting on Wednesday, Stampin' Up offer a small amount of lovely product at a fantastic reduced price - but you need to be quick, they are for one week only. This week the fantastic Scallop Tag Topper Punch is included in the deals. I featured it recently in my first Christmas project video for a set of gift tags. For this week only you can get the punch with over £5 off the normal price - get in now and then you are ready to go with all of your Christmas tags. My US business trip continues to go well. I have a busy day today, meetings all day in Greensboro, NC, before flying north to Indianapolis tonight, a new State for me, not been to Indiana before. I'll be back tomorrow with more new stamping inspiration.